Watch manufacturer Citizen has launched a brand statement that claims no matter who you are and what you do, it is always possible to make something better - and now is the time to start doing it. The "Better starts now" statement will be used across all of Citizen's global brand communications. To get the message across, the world's largest watchmaker has created a brand movie, identity and website to represent this philosophy. The brand movie takes place at a Citizen workstation and technology reflecting different time periods has been used to bring the message to life. For example, historical black and white footage, shot on a 1930s hand-cranked 35mm camera, has been used alongside the saturated footage of a 1980s VHS camera. The movie, hosted on a specially-created Citizen website and on YouTube, will also be aired at several Citizen stores worldwide. The global brand movie, identity and website were created in collaboration with the Tokyo and Amsterdam offices of Wieden+Kennedy. 'Better Starts Now' will be integrated in all Citizen's markets globally as well as influencing all its major sponsoring events such as the US Tennis Open and the World Figure Skating Championships. 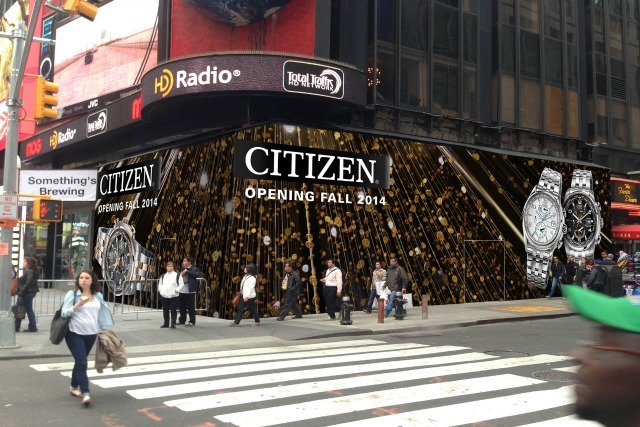 Citizen stores around the world and the new flagship store in Times Square, New York, opening in November 2014, will also be inspired by the statement.